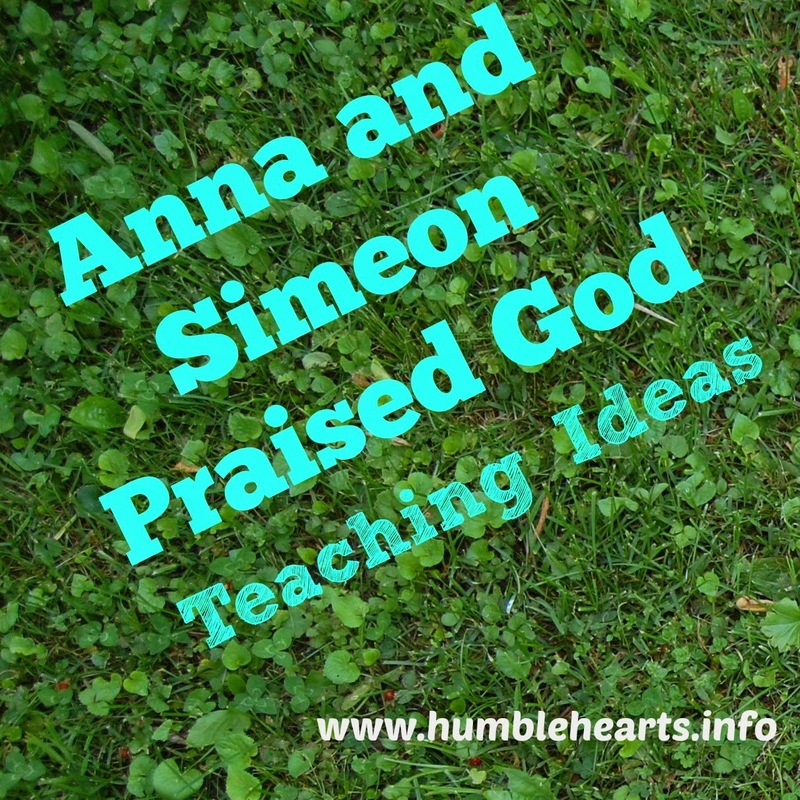 Song: Listen to the song “Simeon and Anna” by Lisa Tracy (you can listen here) Even thought this is not a children's song, my daughters enjoyed listening to the song and picking out when she was talking about Simeon and when she was talking about Anna. Lisa and Mike Tracy generously gave me permission to share her song on this website. You can sign up to receive a free song of the week by Lisa in your email. Information on her Facebook page. Simeon was old. He was waiting and looking for God to send the savior. What are things you have to wait for? (ex: dinner, time to play with friends, etc.) Simeon waited for the savior. 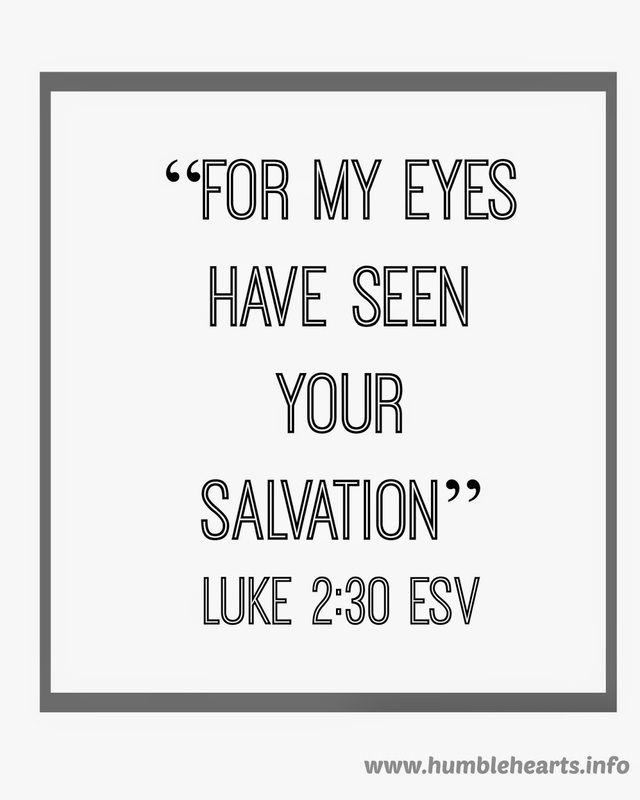 God told Simeon that he would see the savior before he died. He was so happy and kept on waiting. God told Simeon to go to the temple. When he did what God told him to do he obeyed. He went to the temple and baby Jesus were there! Jesus was the savior that Simeon was looking and waiting for. Anna was an old woman that loved God. She prayed to God all the time. Prayer is talking to God. 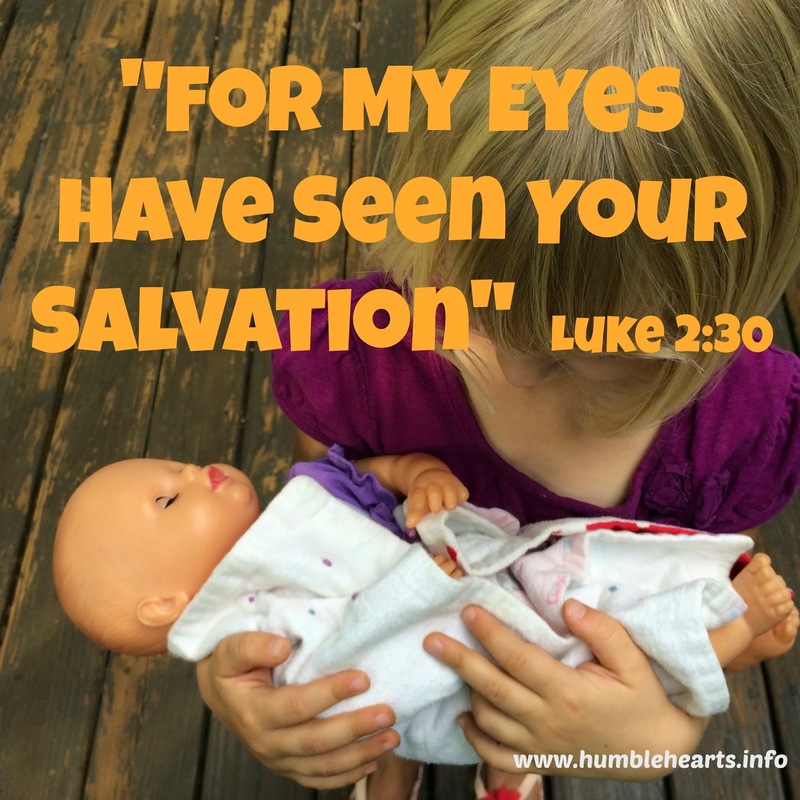 Anna saw Simeon holding baby Jesus at the temple. She thanked God for sending the savior Jesus Christ. We thank someone when they do something nice for us. You thank someone if they give something to you. God had done something nice by sending the Jesus to help people. Jesus was just a baby, and couldn’t help people yet. But Anna knew that he would grow up to be an adult and help people. That is why she said “Thank you” to God. Mary and Joseph took Jesus when he was a baby to the temple. 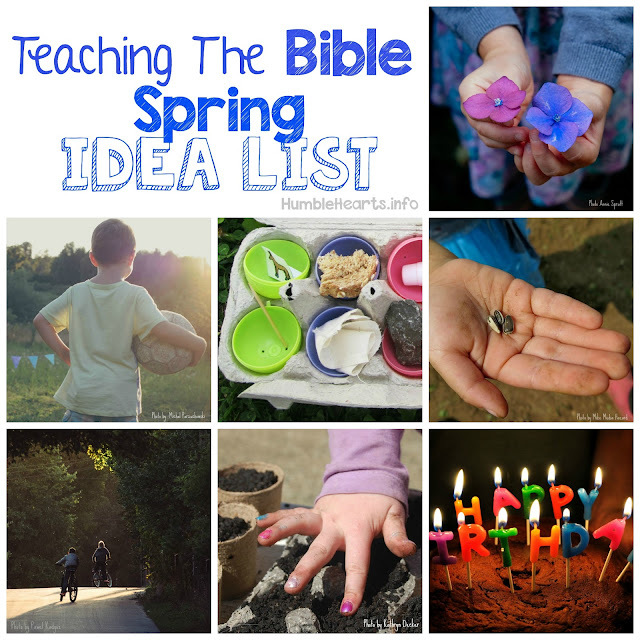 They were following what God said to do in the Bible. Simeon and Anna praised God for that the Savior was born. Sing the first verse of “Jesus Saves”. You sing the song and have your child join in on the “Jesus Saves” parts. Print out a picture of Simeon and Anna onto card stock. 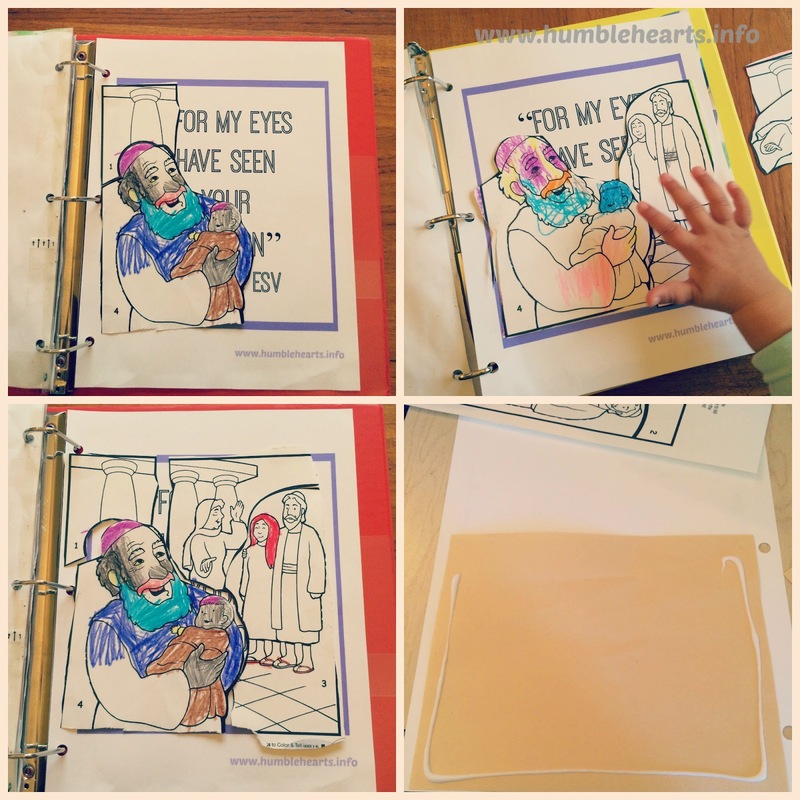 I used a puzzle from"Bible Stories To Color And Tell ages 3-6" by Heart Shaper. Another option is for a free coloring picture of Simeon and Anna (here is a link.) Draw a simple outline of puzzle pieces over the picture. Cut it into puzzle pieces. Glue 3 sides of a piece of construction paper to make a pocket to store the puzzle pieces on the back of the Bible verse page.